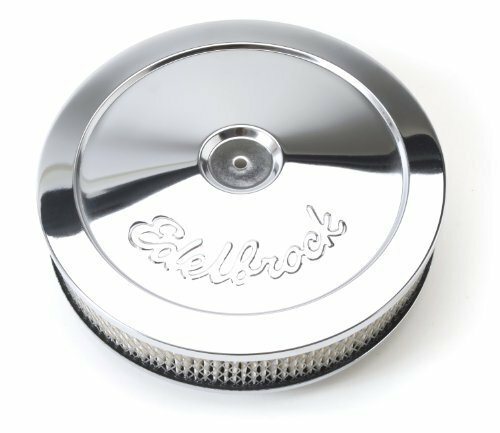 The Edelbrock Pro-Flo Air Cleaner provides the perfect solution for low hood clearance problems. They offer superior flow capacity and excellent filtration. This air cleaners have a raised base style and come in a round shape. The top of the air cleaner is made of steel and comes with a mesh finish. The base material of the air cleaner is made of steel and comes with a beautiful chrome finish.